Let me begin by saying that it is REALLY hard to photograph “glow in the dark” things. I get how to photograph most things in life, but glow in the dark is just one of those things that even fancy-shmantzy-pants photographers have to really pull out all the stops to be able to do without issue. Me, I am no fancy-shmantzy-pants anything. Nope. Not even. So, please ignore the inanity of the pictures and see past the silliness of the dark/blue/weirdiness you’re seeing on the screen. 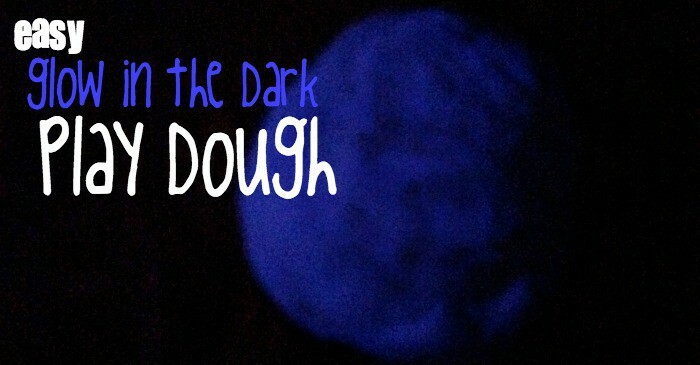 It’s simple, really, you’re looking at Easy Glow in the Dark Play Dough. I hope you could figure that out on your own, but, really, I would have had a hard time if I were the one looking at a blue blob I had not just photographed myself. “Just a blob, nothin’ to see here.” But it IS something to see–it’s freakin’ awesome. 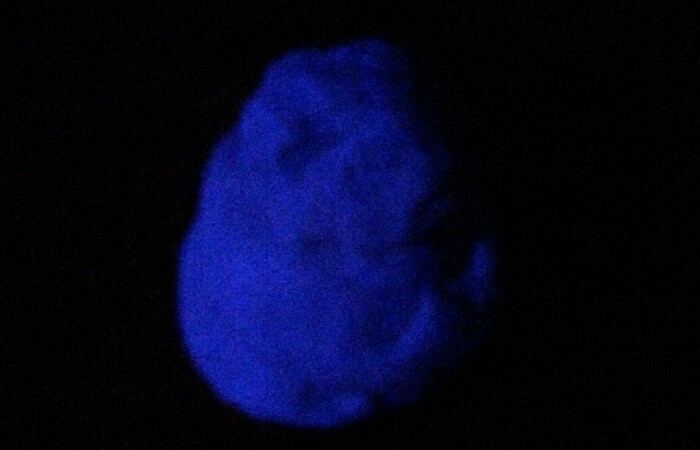 It’s GLOW IN THE DARK PLAY DOUGH. And it took me less than 5 minutes to make. And my kids played with it for an HOUR. Score! Mix all the ingredients together in a medium-sized bowl until thoroughly blended. If it’s still too sticky, add a tablespoon of flour then mix it again, and keep adding until you’ve reached the desired consistency. Get under a blacklight, because this, friends, is going to be AWESOME. It glows! EEP! Wanna see it with a little more light so you can actually SEE it? Well, conveniently, because of my varied skills as a photographer, I was not savvy enough to put a backdrop behind it at first, so here’s a picture where you can kind of see it better because the washing machine I set it on (yes, that’s where I made my kids play with it so it was easy to clean-up later–LOL!) was reflecting all the blacklight. 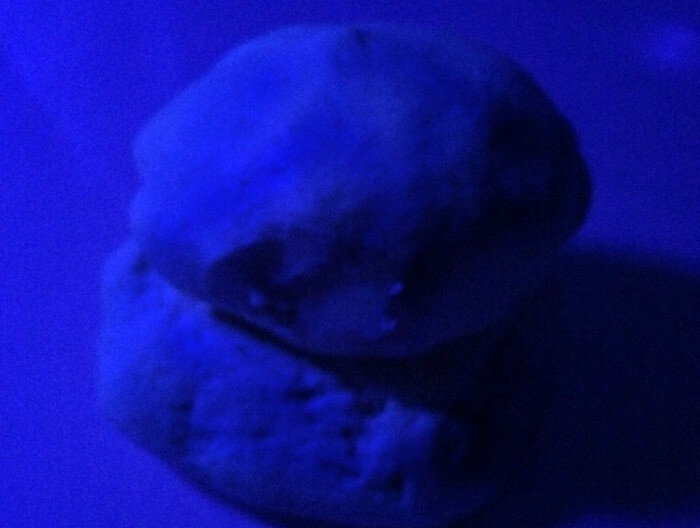 But, honestly, it’s just a blob–it’s play dough. 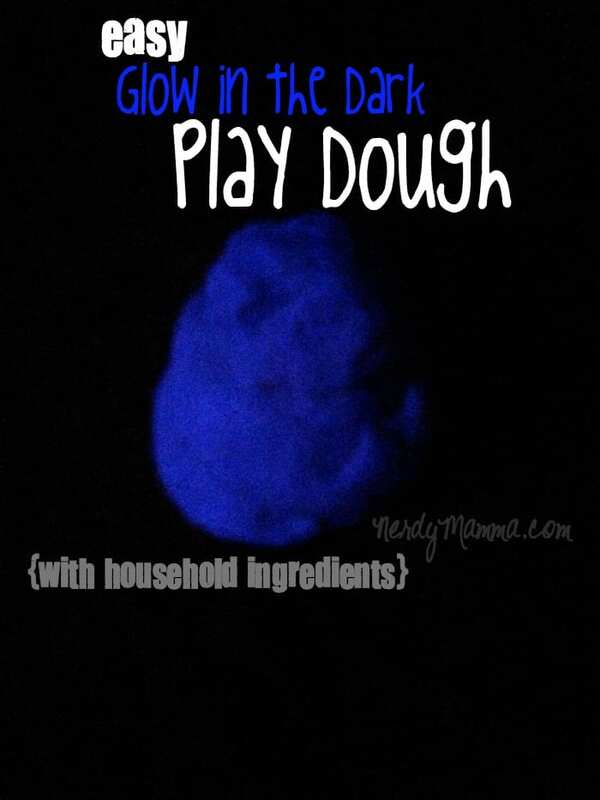 But it’s Easy Glow in the Dark Play Dough, so it’s pretty cool.